Your reluctant reader has finished the Harry Potter series…um…now what? Here they are all glassy-eyed and full of wonder from their journey into Hogwarts and Diagon Alley. They are simply unwilling to come back to the muggle world, but instead, wish to stay in the realm of fantasy and adventure. Well, I too have found myself in this exact position, and I’m positive I’m not alone. You want to encourage this passionate reading but still, maintain some age-appropriate content. 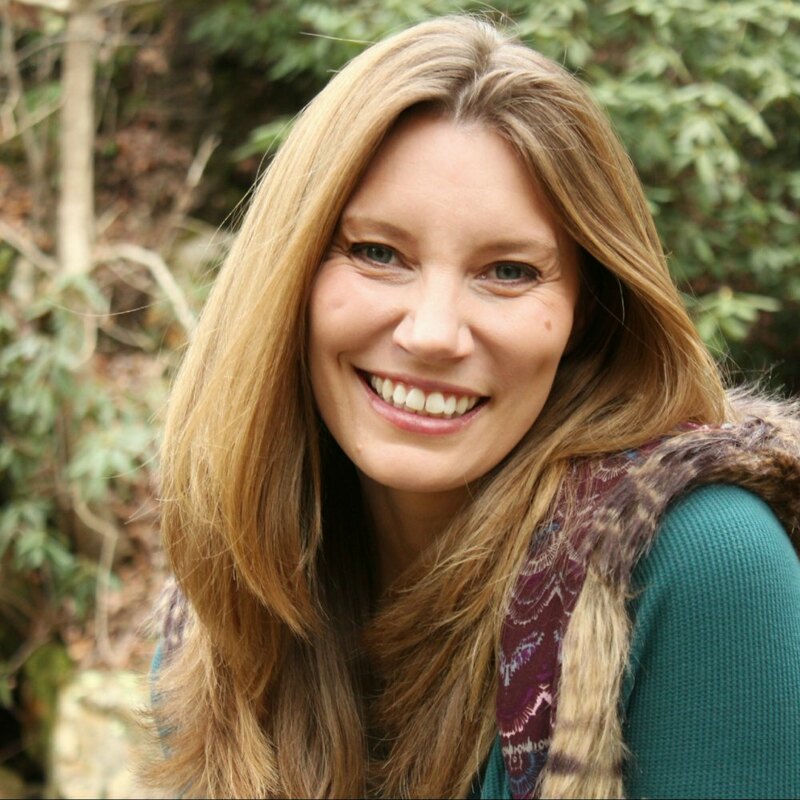 They are not ready for young adult and teen books like The Hunger Games and Divergent. 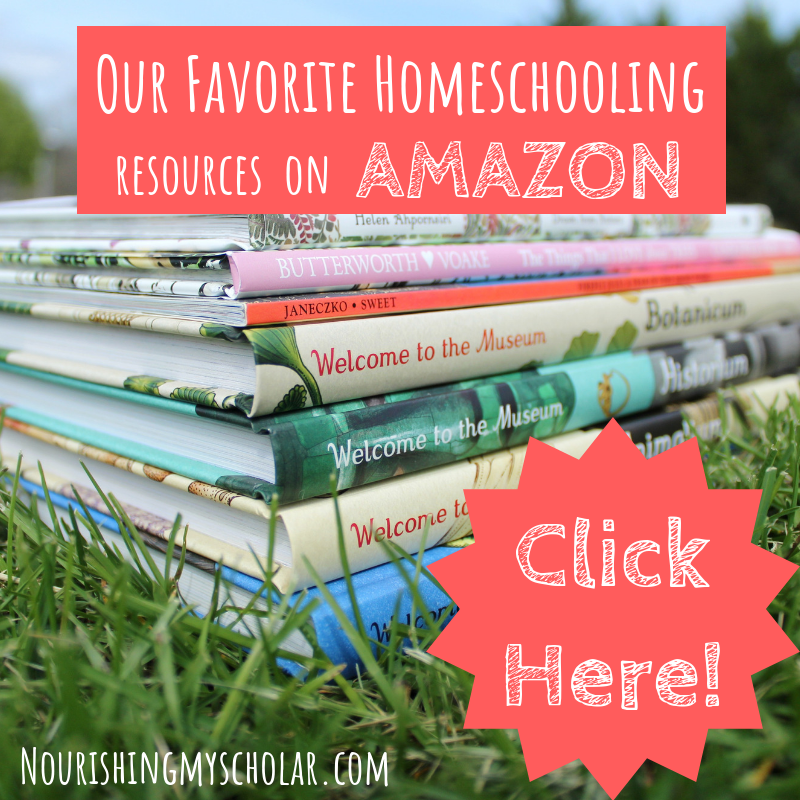 So, I have scoured the internet and homeschool groups looking for what comes next. 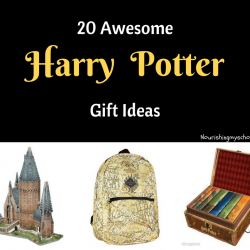 Unfortunately, there is no replacing Harry Potter, but there are fantastic books and book series to keep your child engaged, entertained, and reading. Many we have read, are reading, or are on our list to read. 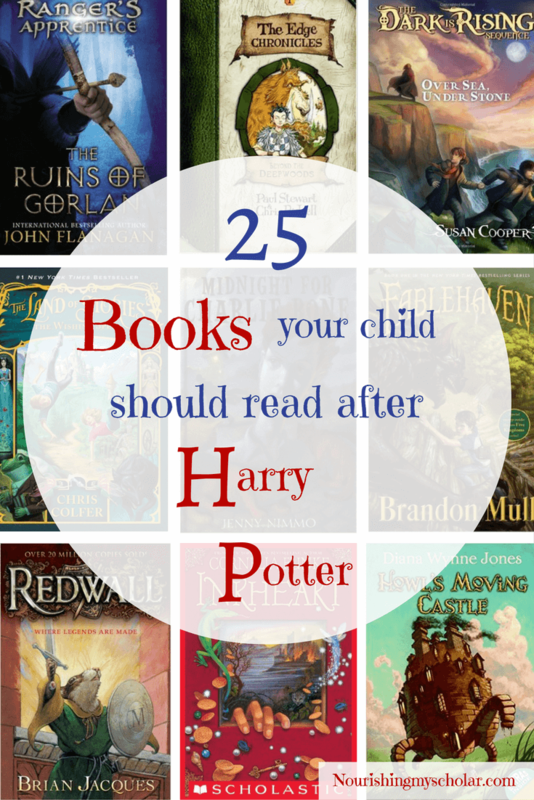 Here are 25 books your child should read after Harry Potter! 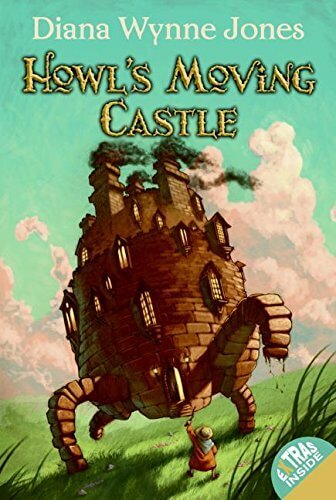 Howl’s Moving Castle by Diana Wynne Jones – Sofie has the great misfortune of being the eldest of three daughters, destined to fail miserably should she ever leave home to seek her fate. But when she unwittingly attracts the ire of the Witch of the Waste, Sophie finds herself under a horrid spell that transforms her into an old lady. Her only chance at breaking it lies in the ever moving castle in the hills: the Wizard Howl’s castle. To untangle the enchantment, Sophie must handle the heartless Howl, strike a bargain with a fire demon, and meet the Witch of the Waste head on. 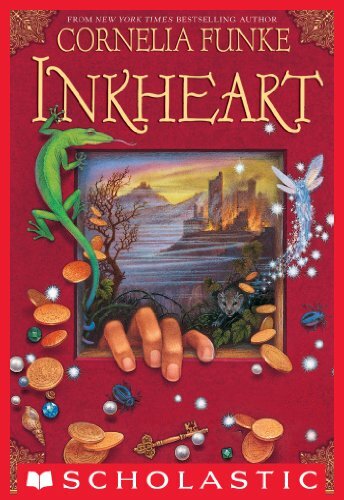 Inkheart by Cornelia Funke – Meggie lives a quiet life alone with her father, a book binder. But her father has a deep secret. He possesses an extraordinary magical power. One day a mysterious stranger arrives who seems linked to her father’s past. Suddenly, Meggie is involved in a breathless game of escape and intrigue as her father’s life is put in danger. 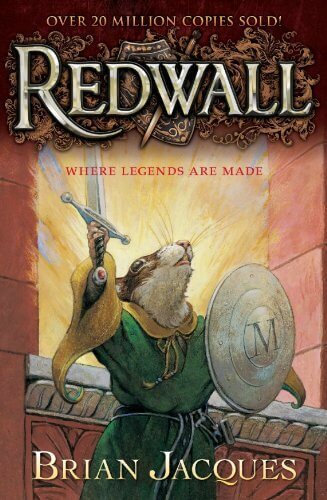 Redwall by Brain Jaques – What can the peace loving mice of Redwall Abbey do to defend themselves against an evil army of rats? If only they had the sword of Martin the Warrior. But the legendary weapon has long been forgotten except by the bumbling young apprentice Matthias, who becomes the unlikeliest of heroes. This is the first book in a series of 20 books! 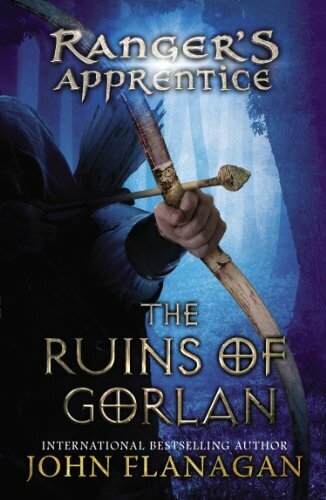 The Ruins of Gorlan: Ranger’s Apprentice by John Flanagan – 15 year old Will has been chosen as a Ranger’s apprentice. What he doesn’t yet realize is that the Ranger’s are protectors of the kingdom. Highly trained in the skills of battle and surveillance, they fight the battles before the battles reach the people. And as Will is about to learn, there is a large battle brewing. The exiled Morgarath, Lord of the Mountains of Rain and Night, is gathering his forces for an attack on the kingdom. This is the first book in a series of 12 books. 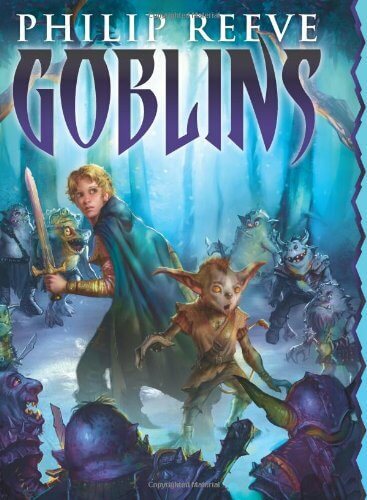 Goblins by Philip Reeve – The squabbling goblins that live in the towers of Clovenstone spend their time fighting and looting. Only clever young Skarper (who happens to be in exile) understands that dark magic created by a vanquished sorcerer is rising again. With the help of a wanna-be hero, a middle aged princess, and a few bumbling wizards, Skarper must fight to save their world. This is the first book in a two part series. 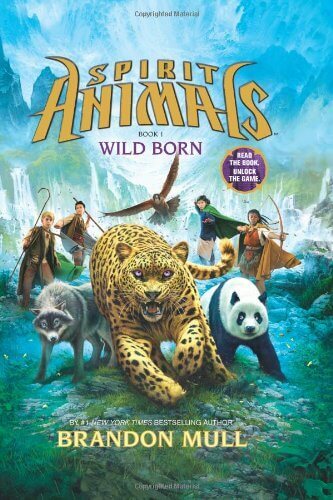 Spirit Animals: Wild Born by Brandon Mull – Four children separated by vast distances all undergo the same ritual, watched by cloaked strangers. Four flashes of light erupt, and from them emerge the unmistakable shapes of incredible beasts: a wolf, a leopard, a panda, a falcon. Suddenly the paths of these children, and the world, have been changed forever. Enter the world of Erdas, where every child who comes of age must discover if they have a spirit animal, a rare bond between human and beast that bestows great power to both. This is the first book in a series of 6 books. 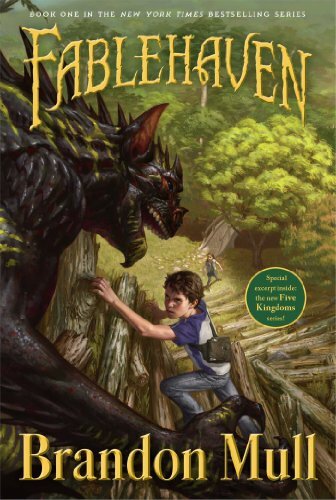 Fablehaven by Brandon Mull – Kendra and her brother, Seth, have no idea that their grandfather is the current caretaker of Fablehaven. Inside the gated woods, ancient laws keep relative order among greedy trolls, mischievous satyrs, plotting witches, spiteful imps, and jealous fairies. However, when the rules get broken, powerful forces of evil are unleashed. Kendra and her brother face the greatest challenge of their lives. This is the first book in a series of 5 books. 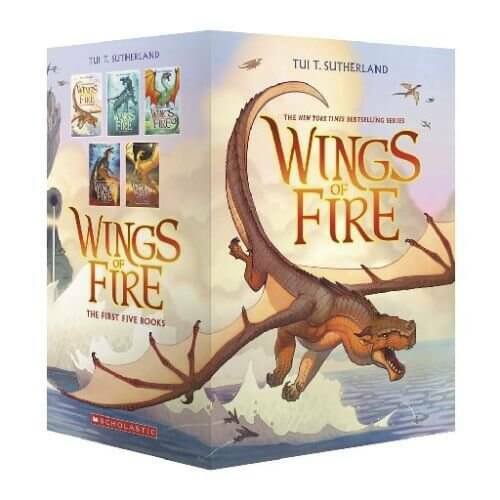 Wings of Fire by Tui T. Sutherland – A war has been raging between the dragon tribes of Pyrrhia for years. According to prophecy, five dragonets will end the bloodshed and choose a new queen. But not every dragonet wants a destiny. And when Clay, Tsunami, Glory, Starflight, and Sunny discover the truth about their unusual, secret upbringing, they might choose freedom over fate–and find a way to save their world in their own way. This is a series of 8 books. The Chronicles of Narnia by C.S. 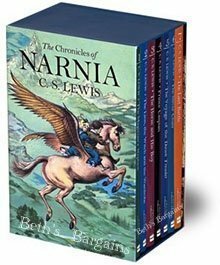 Lewis – Experience all 7 of these classic books in the Chronicles of Narnia series. 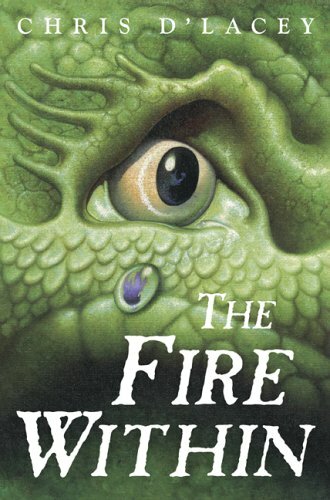 The Fire Within (The Last Dragon Chronicles) by Chris D’Lacey – When David moves in with Liz and Lucy, he discovers a collection of hand crafted, clay dragons that come to life and have magical powers. This is the first book in a series of 7 books. 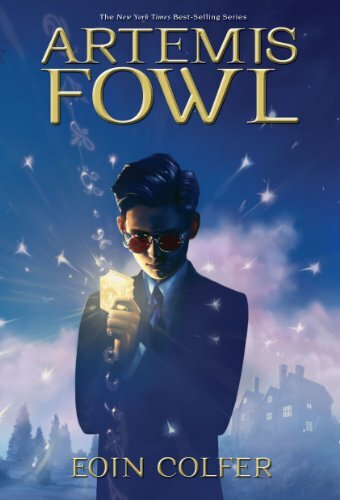 Artemis Fowl by Eoin Colfer – 12 year old Artemis Fowl is the most ingenious criminal mastermind in history! This series combines folklore, fantasy, and a fistful of high tech funk with its fairies. This is the first book in a series of 8 books. 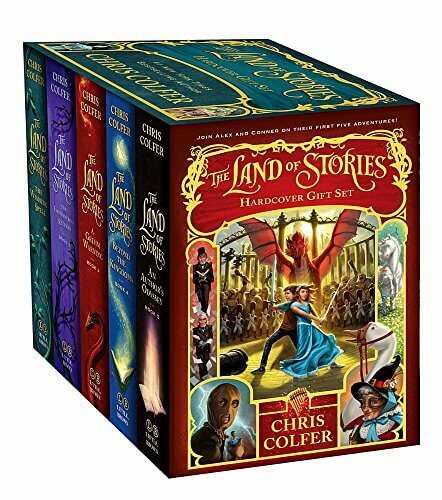 The Land of Stories by Chris Colfer – Through the mysterious powers of a cherished book series, twins Alex and Conner leave their world behind and find themselves in a foreign land full of wonder and magic where they come face to face with the fairy tale characters they grew up reading about. A 5 book series. 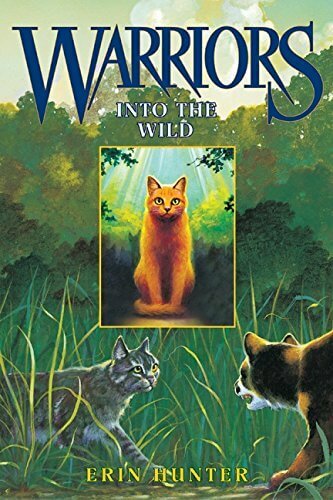 Warriors: Into the Wild by Erin Hunter – For generations, four Clans of wild cats have shared the forest according to the laws laid down by their ancestors. But the warrior code is threatened, and the ThunderClan cats are in grave danger. The sinister ShadowClan grows stronger every day. Noble warriors are dying and in the midst of this chaos, an ordinary house cat named Rusty appears….who may be the bravest warrior of them all. This is the first book in a series of 6 books. 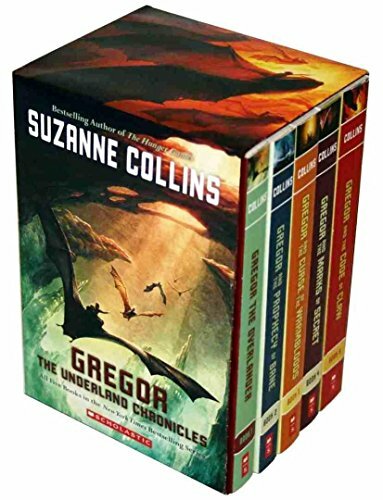 Gregor the Underland Chronicles by Suzanne Collins – When Gregor follows his sister through a grate in the laundry room of their New York apartment building, he hurtles into the dark underland beneath the city. There, a conflict is brewing between the humans and the giant creatures that live below. 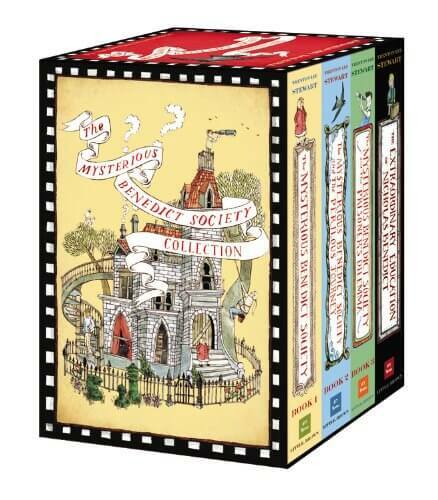 The Mysterious Benedict Society by Trenton Lee Stewart – Dozens of children respond to this peculiar ad in the newspaper and are then put through a series of mind-bending tests, which readers take along with them. Only four children succeed. 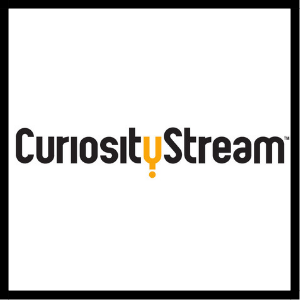 Their challenge: to go on a secret mission that only the most intelligent and inventive children could complete. The only rule: there are no rules. 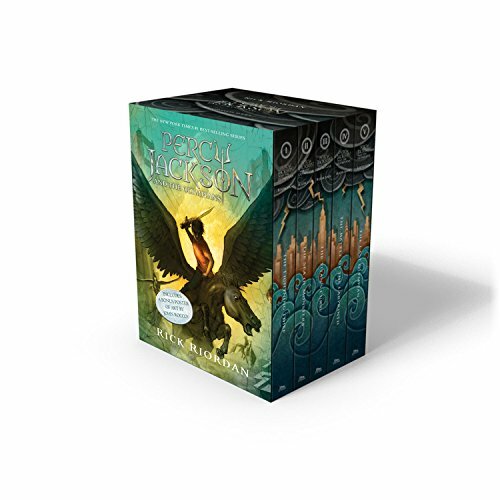 Percy Jackson and the Olympians Series by Rick Riordan – A 5 book series on the adventures of Percy Jackson the demi god son of Poseidon. 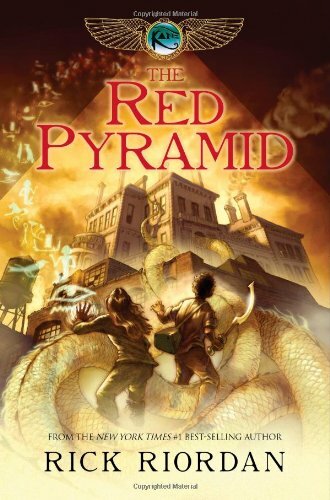 The Red Pyramid: The Kane Chronicles by Rick Riordan – Since their mother’s death, Carter and Sadie have become near strangers. 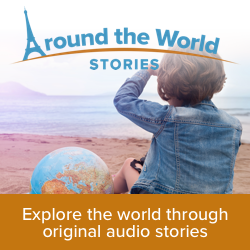 While Sadie has lived with her grandparents in London, her brother has traveled the world with their father, the brilliant Egyptologist, Dr. Julius Kane. One night Dr. Kane brings the siblings together for a “research experiment” at the British Museum, where he hopes to set things right for his family. Instead, he unleashes the Egyptian god Set, who banishes him to oblivion and forces the children to flee for their lives. 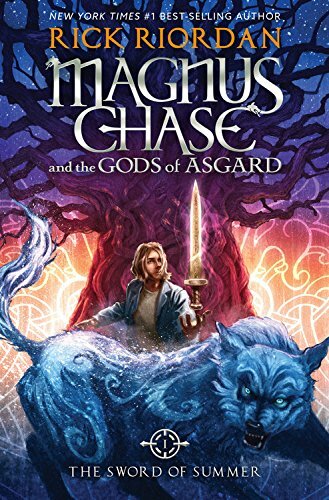 Magnus Chase and the Gods of Asgard: The Sword of Summer by Rick Riordan – Magnus Chase has always been a troubled kid. Since his mother’s mysterious death, he’s lived alone on the streets of Boston, surviving by his wits, keeping one step ahead of the police and the truant officer. One day he is tracked down by an uncle he barely knows. A man his mother claimed was dangerous. Uncle Randolph tells him an impossible secret: Magnus is the son of a Norse god. This is the first book in a 3 book series. 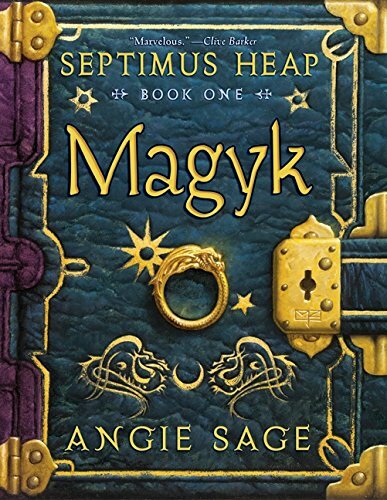 Magyk by Angie Sage – Sepitmus Heap the seventh son of the seventh son, disappears the night he is born. Follow this fantastic journey of lost and rediscovered identities filled with quirky characters, magykal charms, spells, and potions. This is the first book in a series of 7 books. 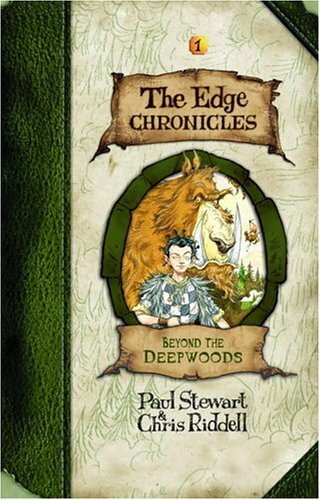 Edge Chronicles: Beyond the Deepwoods by Paul Stewart & Chris Riddell – Young Twig lives in the Deepwoods, among the Woodtrolls, but he isn’t one of them. In a brave attempt to find where he belongs. Twig wonders into the mysterious, dangerous world beyond the Deepwoods. This is the first book in a series of 11 books. 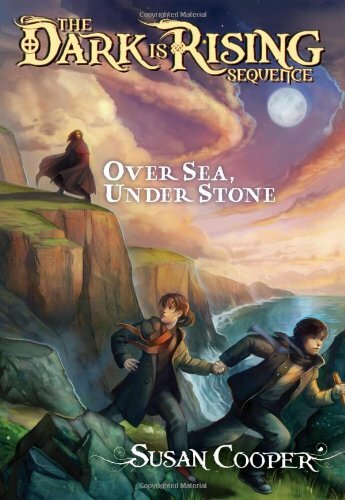 Over Sea, Under Stone: The Dark is Rising by Susan Cooper – On holiday in Cornwall, the three Drew children discover an ancient map in the attic of the house they are staying at. They know immediately that it is special. It is even more than that. It is the key to finding the grail, a source of power to fight the forces of evil known as the Dark. And in searching for it themselves, the Drews put their very lives in danger. This is the first book in a series of 5 books. 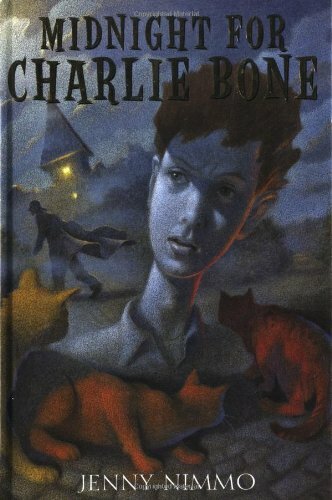 Children of the Red King: Midnight for Charlie Bone by Jenny Nimmo – 10-year-old Charlie Bone has discovered an unusual gift, he can hear people in photographs talking. His scheming aunts decide to send him to Bloor Academy, a school for genius’s where he uses his gifts to discover the truth despite all of the dangers ahead. This is the first book in a series of 8 books. 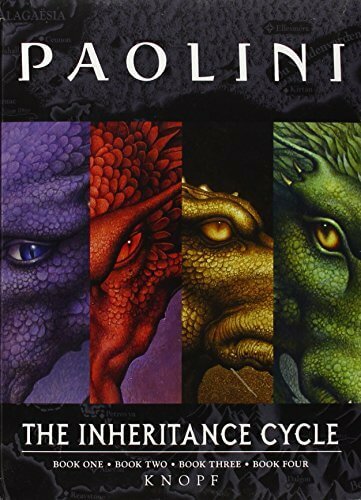 The Inheritance Cycle (Eragon) by Christopher Paolini – The story of one boy, one dragon, and a world of adventure. When Eragon finds a polished blue stone in the forest, he thinks it’s the lucky discovery of a poor farm boy. But when the stone brings a dragon hatchling, Eragon soon realizes that he has stumbled upon a legacy nearly as old as the empire itself. 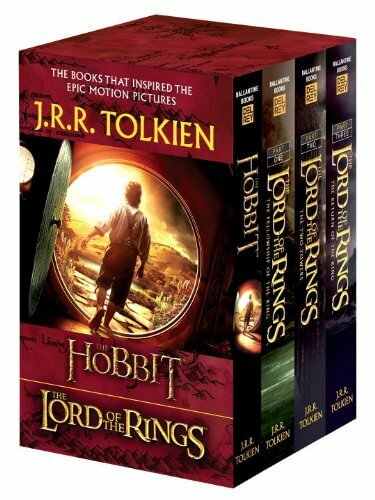 The Hobbit and the Lord of the Rings by J. R. R. Tolkien – Follow the adventures of Bilbo Baggins and his nephew Frodo Baggins on the epic adventure to destroy the one ring. 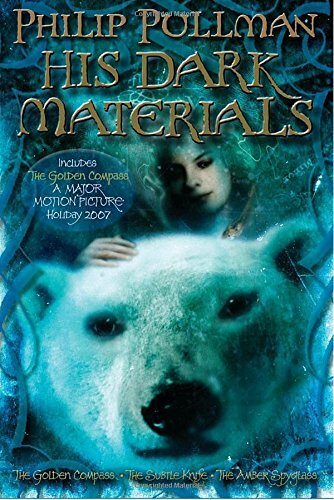 His Dark Materials Omnibus: The Golden Compass, The Subtle Knife, & The Amber Spyglass by Philip Pullman – These thrilling adventures tell the story of Lyra and Will – two ordinary children on a perilous journey through shimmering haunted otherworlds. They meet witches, armored bears, fallen angels, and soul eating specters. And in the end, the fate of both living and dead will rely on them. This is a series of 3 books. 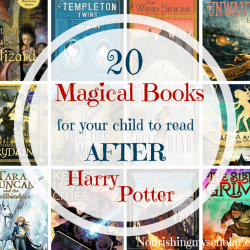 If your child finishes this list of books or just needs more Harry Potter-like books, then be sure to check my next list of 20 Magical Books For Your Child To Read After Harry Potter! Download my free 25 Books Your Child Should Read After Harry Potter book list at Teachers Pay Teachers. 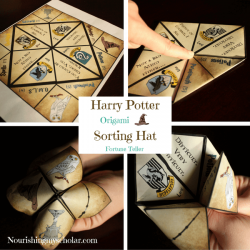 You can tuck it into your pocket the next time you visit the library or bookstore! Excellent list. I would add the Lloyd Alexander Chronicles of Prydain. I’m a Gen X-er who fell in live with that magical series in early junior high. Thank you! 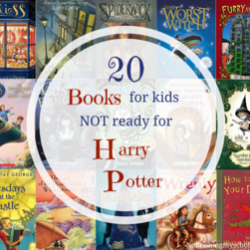 I did mention the Chronicles of Prydain in another post “20 Magical Books For Your Child To Read: After Harry Potter”…I had to come up with a second list because my son read all of the titles from the first 25 Books to Read After Harry Potter! But I agree Lloyd Alexander is magical.